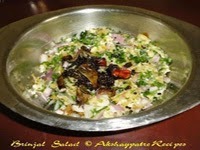 Collection of raita and salad recipes - Raita and salads are staple food of India prepared almost everyday. 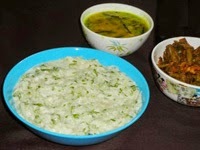 This is a healthy side dish served with biryani, pulao, spicy rice, roti, chapathi along with main course. These are very low in fat and rich in Vitamins, Minerals and fiber. As we are consuming vegetables in form of raitas and salads hence these are healthy food. The basic ingredients for raita is yogurt, vegetables and fruits. 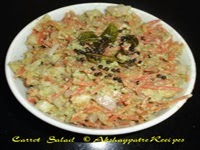 I have compiled few of my favorite raita and salad recipes for your convenience. I hope you enjoy them. 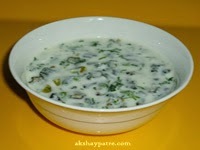 Bhindi Raita - Raita prepared in combination with ladies finger and yogurt is called as bhindi raita. This raita has a cooling effect on body. It is a nice accompaniment to spicy main course and rice. 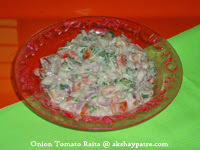 Onion Tomato Raita - This is a most common raita which I prepare very often. Very simple easy to prepare raita with all goodness of onion and tomato. Coriander leaves add flavour and green chilli adds spicy taste to the dish. Beet root raita - Beetroots are good source of minerals such as iron, manganese, copper and magnesium. They contain ample amount potassium. Potassium controls blood pressure. It is helpful in metabolic process and muscle function. Hence eating beetroot in any form is beneficial to the body. 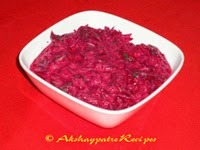 Beetroot riata is prepared with boiled beetroots, thick yogurt, green chilly, chopped coriander leaves, sugar and salt. Lauki Raita - Cool and comfort raita prepared with steamed white gourd or lauki, cucumber, whipped curd, sugar, chopped coriander leaves and salt. 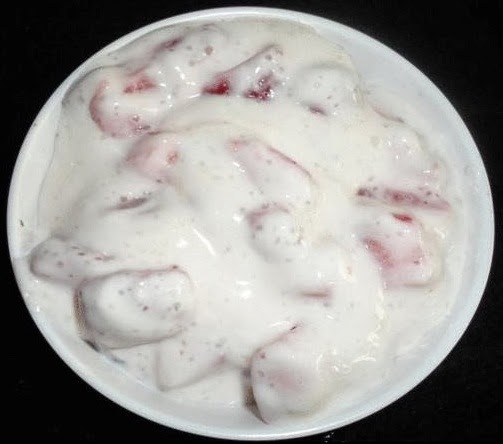 It has cooling effect on the body hence ideal raita to consume during summer. 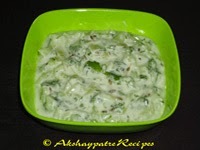 Cucumber Raita - Cucumber raita is prepared in every homes with their own version. This is made with cucumber, coriander leaves, yogurt, ground nut powder and sugar. I have not added green chillies as like the cucumber raita this way. Ground nut powder provides thick consistency and enhances the taste.